As I write this piece for the VIM Executive Coaching blog, I think about a friend who just got a new car and then promptly got into a minor “fender-bender.” No one was hurt, I am happy to say, except my friend who received a healthy increase in his monthly insurance rates! He took his spiffy new car out for a spin and didn’t set his mirrors properly. He decided to make a lane change and not being used to the blind spot (and objects being closer than what they appear) and promptly caused several thousands of dollars’ worth of damage. I smiled a knowing smile, because I immediately saw an executive leadership lesson in all of it. That’s quite a huge number of blind spots. In fact, this lack of self-awareness is a huge problem in many organizations, be they entrepreneurial, corporate or nonprofit organizations. It is just as easy for a high-ranking executive in a multi-million-dollar psychiatric healthcare facility to lack self-awareness as the CEO of an auto parts retail chain. As it turns out, the “human animal” is really bad at assessing their personal blind spots. We may think we have a good handle on situations, but in an important article published a number of years back (August 2011) in Psychology Today entitled: “The Illusion of Self-Awareness -- We are More Unaware than Aware,” we find that we humans are terrible at accurately portraying our memories as to how we handled certain situations. We are masters at creating our own memories of situations no matter how inaccurate they may be. Getting around the obstacles of making up our own versions of things is pretty tough. We are often afraid or unaware of asking ourselves what we may have done poorly to contribute to difficulties in our workplaces. The shift is far from an innocent change in perspective. If we hammer away on ourselves with the “why” question, we can fill ourselves with negativity and regret that is counter-productive. We tend to create answers for ourselves that are inaccurate and in fact, we can be pretty good at beating up on ourselves. It does us little good. If we view our role in terms of “what” we are much better off. It turns out that objectivity is a very good thing. Here’s the problem: Honesty. If we ask ourselves, “What are the situations in my job that make me feel uncomfortable or inadequate or silly or angry,” we have no choice but to be objective and honest with ourselves. 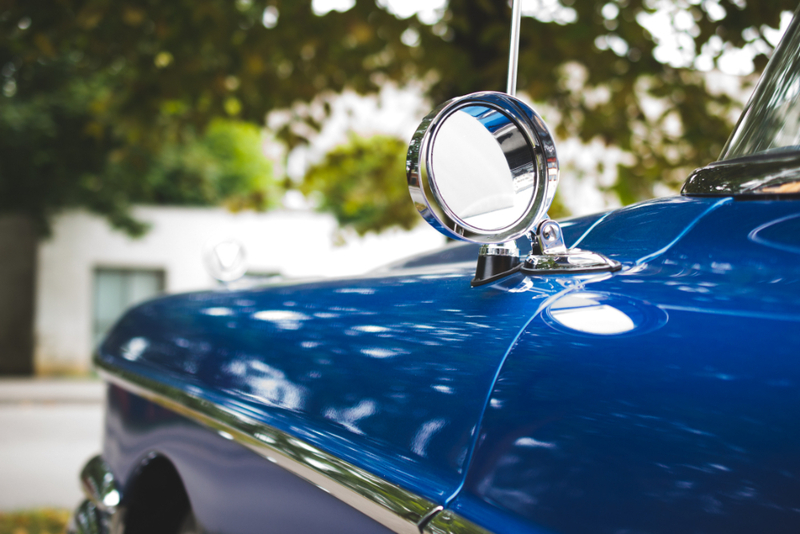 If we know the mirror on our car had a huge blind spot, and we planned for it, and even expected that if we didn’t pay attention we’d get into an accident, we could help ourselves avoid it. If we got into an accident as the result of ignoring that blind spot, we would have to be brutally honest with ourselves. Most people have no desire to be that honest. Most will do anything possible to not be honest; they will revert to the old behaviors. The “honesty problem” goes even further. Even if we wish to change and we want to get feedback on honesty, who will we listen to and whose answers will we respect? We can ask a friend or business associate a question like: “What behaviors do you see in me that causes workplace problems?” That’s a brave thing to do – and often damaging. Brutal honesty, even when couched in gentleness can be harsh. Then again, our friend or business associates might be blind in the same blind spots where we are blind. At VIM Executive Coaching our mission is to help leaders overcome their self-awareness obstacles. The “bad news” is that everyone of us has a blind spot and we are all unaware to some extent. The exciting news is that with learning mindful behaviors and appropriate responses rather than reactions we can all have greater self-awareness and objectivity rather than negativity.